When it comes to marketing, more and more local businesses are now competing with national and international brands with their limited budgets. Online marketing, nowadays, is much more than just having an attractive website for a company. Both small and big businesses need to have a strong online presence for attracting their target audience. Wondering why? Only to gain a competitive edge in the e-commerce market and reach wider online shoppers. The rapid growth of the internet has opened new doors for local businesses where they can easily compete with big companies by utilising an effective digital marketing strategy. With a good online presence, your company can gain new customers, thus boosting your sales. With the help of digital advertising, a local company can target particular geographic regions and demographics by reaching millions of potential customers on the internet. Here are a Few Reasons why it is Important for All Local Businesses to Consider Digital Marketing! In this internet-driven society, the expectations of consumers have gradually changed. Whenever they hear of a local company, they immediately check their social media accounts and website to know more about the organisation. They check out the website on their smartphones and even take the help of Google maps to reach the company. In case they find your company with a poor online presence, they doubt its legitimacy and existence. In this highly competitive era, it goes without saying that your competitors have already launched their strategy for digital advertising. Only with a simple competitor analysis, you can determine how advanced your rivals are in their business approach. Since internet marketing offers you plenty of options to experiment with, you need to have a plan which perfectly fits your objectives, brings more consumers and boosts your sales without even exceeding your budget. No longer are the days when a one-size-fits-all digital marketing strategy seemed to be the ideal approach. 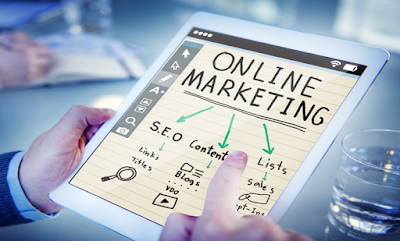 All small businesses need online marketing since the present age demands a more precise and customised marketing strategy. Given that there is a customer for every product and service out there, it is all about finding your audience by targeting the specific market. For example, you can use various social networking sites like Twitter, Facebook and Instagram to reach consumer groups based on interests, demographics, geographic location, etc. It goes without saying that branding plays a great role in the long-term success of a company. While customers may or may not remember a particular product or service, they will in all probability be able to associate a particular brand with their shopping experience. Since it takes several years for a company to build a positive image, with online marketing, you can quickly position yourself in the marketing and move towards a strong and positive brand building. So what is that’s still holding you back? It’s time to go digital and escalate your small business to new heights!